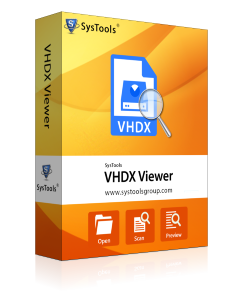 VHDX reader allows to generate an instant view of VHDX files. It makes easier to view .vhdx data file from the hypervisor and virtual machines. It is capable enough to work with corrupt or damaged VHDX file of a virtual hard disk. Moreover, it is compatible with all Windows version including 10, and its below edition to open .vhdx data files. After analyzing the .vhdx image file, freeware tool will create a view of the content. 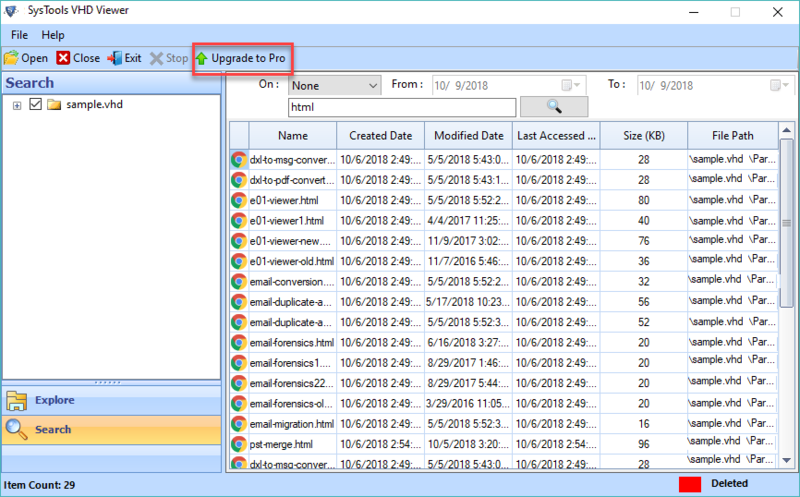 With the help of VHDX viewer, users can easily read all the .vhdx files that are corrupted. Moreover, it supports to view corrupt virtual hard disk drives. It provides an easy way to open damaged .vhdx file without any kind of loss. The software provides an option to restore deleted files from a virtual machine (.vhdx). Also, it helps to preview recovered VHDX data files and open all of them easily. 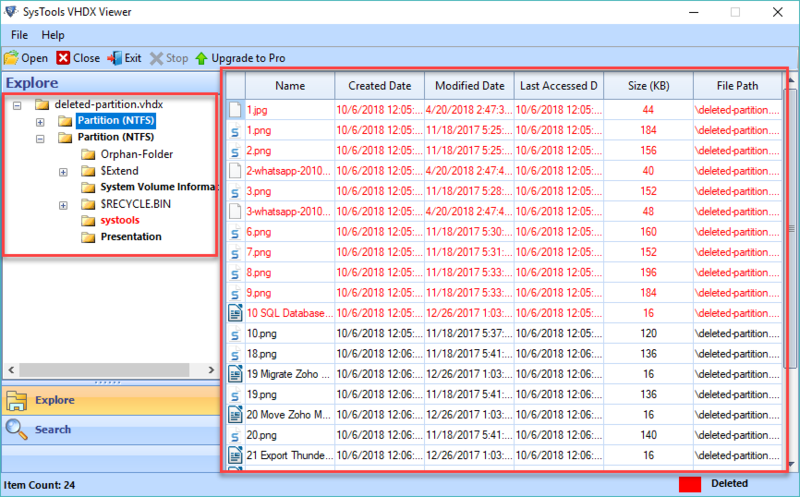 Using VHDX file explorer, users can easily view any number of .vhdx file without any size limit. Even users can add 64TB sized file in the VHDX opener Tool and it cannot make any changes. VHDX Viewer tool can easily browse .vhdx file from any version of Hyper-visor server. Apart from this, the tool maintains the integrity and original formatting of .vhdx file data. It will not modify a single bit of data while viewing VHDX file. However, users can avail this VHDX opener tool to read .vhdx file data without any changes. VHDX file opener is designed in such a way, a novice user can freely access it without any assistance. Also, it provides an easy-to-use interface so that users can open and view .vhdx data file within a few clicks. In addition, this application is appropriate for personal as well as business purposes. This application is capable to work with all editions of Microsoft Hypervisor server. It can support both FAT32 and NTFS file types, which includes fixed and dynamic formats. It helps to view data from a single or multiple partitions in a virtual hard disk image. Even the folder structure and data integrity both are maintained. Step 4: Finally, all items within the virtual drive image will be shown along with their attributes. Does this software open VHDX files from a failed virtual machine? Yes, Of Course, VHDX File Reader allows a user to open and explore .vhdx files of any types from a failed virtual machine. Can I explore VHDX files that are corrupted using VHDX Viewer Freeware? 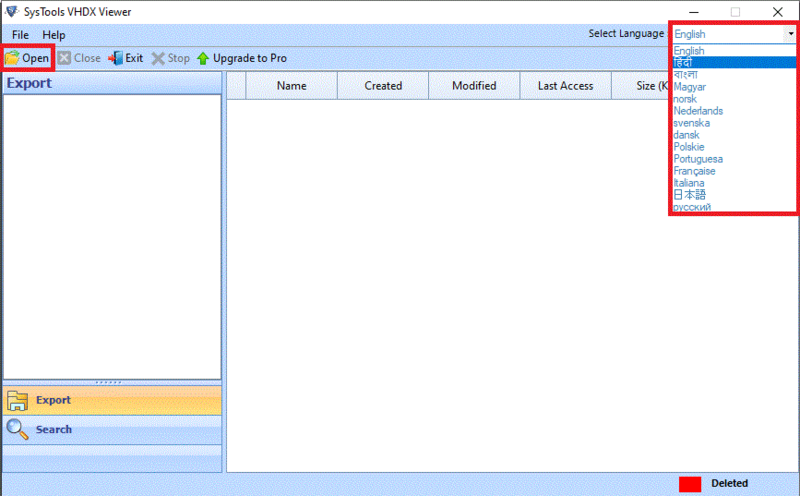 Yes, VHDX Reader freeware permits a user to view .vhdx files that are corrupted and damaged. Is it possible to access VHDX data files on Windows machine? 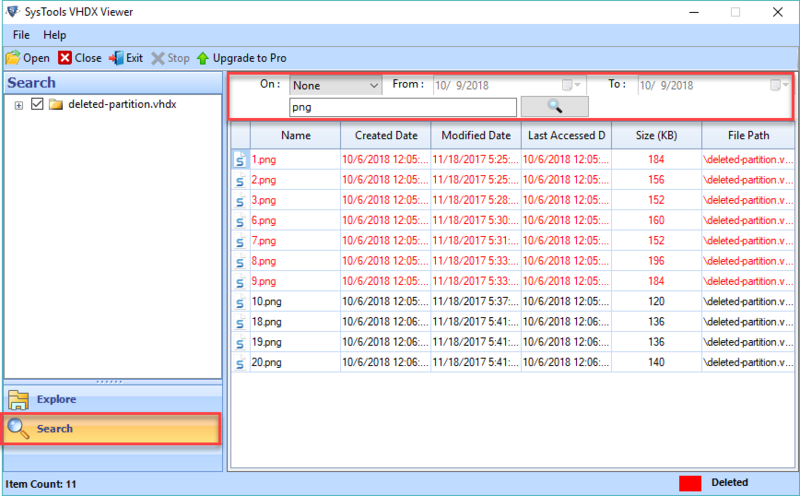 Yes, users can access each content by using VHDX file Viewer on any edition of Windows OS including Server 2012, Server 2008, 10, 8.1, 8, 7, & Vista OS. Does VHDX Opener tool help me to get back all the lost data? 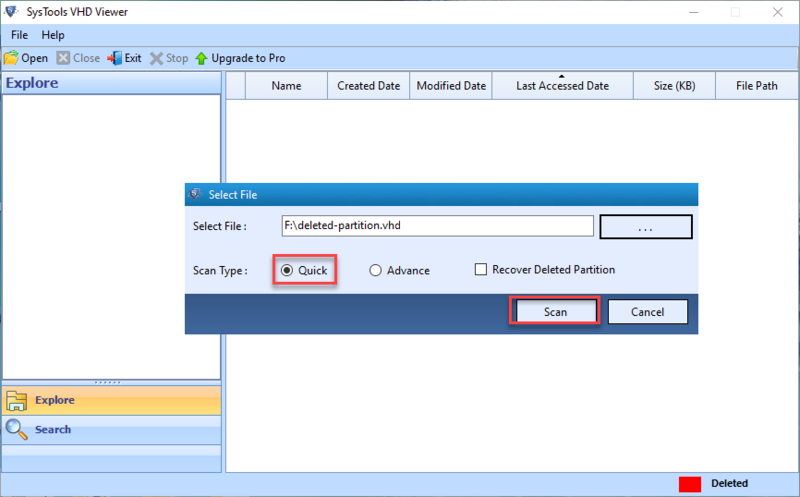 Yes, before generating the view of .vhdx image file, users can get all the lost data back using VHDX Viewer. Is there any file size limit imposed by the VHDX viewer software? No, end users can view VHDX image file of any size with the help of VHDX reader freeware software. The tool is proficient to open and display contents of any virtual hard disk file on a Windows PC. It can access an image created on either Hypervisor or the Virtual server. It can preview operating system boot files from a virtual image. It can even display content from a Windows backup VHD file data. The software removes any error from an offline/dismounted/corrupt/damaged/failed image file. It repairs the virtual hard disk and displays data from a single or multiple partitions. The program works with only Windows 7, 8, 10 machines. It also works with Windows Server 2008 and 2012. The algorithm is designed to enlist any permanently deleted data. It recovers these items from a corrupt virtual image file and displays them for preview. There is a separate area where these items are listed. They are highlighted in red for easy access and export. The program makes sure that the items displayed are same as in original format. There are no changes made to data or the folder structure. In fact, even the file properties like name, size, creation date, modification date etc remain unchanged. The algorithm has simple functions that can even be understood by a non-technical person. There are no size limitations on the .vhd file that can be uploaded to the tool. The utility is tested with up to 45GB of data without failure. The VHD Viewer works well with any of the FAT16, FAT32 or NTFS format. It can even work with both fixed and dynamic types. 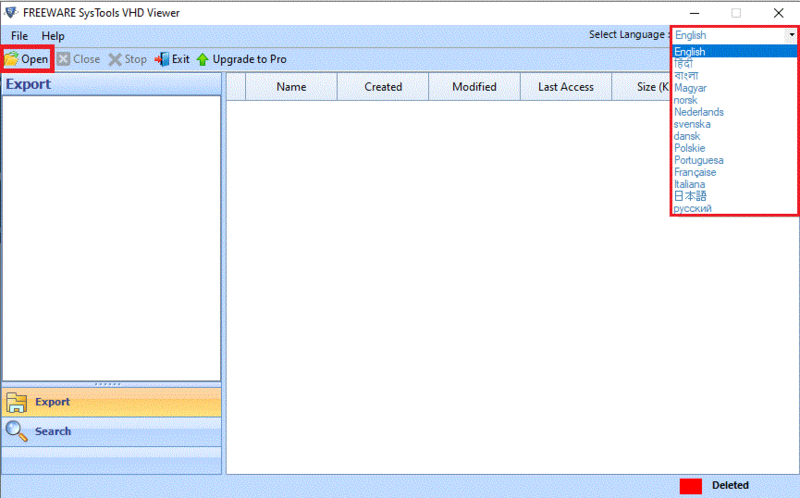 The utility supports all versions of Virtual Server and Hyper-V server. It can display items from a .vhd file created by the disk management tool. The software can also open Windows image backup VHD file and enlists items within it. The application has a Windows Explorer-like look that can be easy-to-use and user-friendly. Step 1: First, download and install the tool. Then, launch the application. Step 2: Next, click on the Open button on the navigation bar. Step 3: Then, go to the location where the VHD file is saved and click Open. Step 4: Finally, view the contents of the virtual image file displayed in the software interface. What is a Hyper-V server? The hypervisor(or Hyper-V) server is a software that can run multiple virtual machines at a time. It is a management utility to control the hardware and resources used by VM operating system. It created a virtual disk image in a .vhd file which can be read through the VHD File Opener. What is a dismounted virtual hard disk file? It is a virtual image of a backup or operating system that has not been mounted on Windows PC. What is an offline virtual drive? This is a disconnected virtual disk file that can be modified without any inbuilt tool and just by programming. Contents of such image can be viewed using the VHD File Viewer. What is a Disk Management virtual disk image file? Disk management is an inbuilt utility provided by Microsoft to manage system drives and partition. It can be used to manage, create, increase and decrease the size, delete drives and partitions. It can also be used to attach a .vhd file and create new ones. The VHD File Opener can access and read from such virtual disk files. Can the software work on Windows Server 2008 machine? Yes, the algorithm is designed for both Windows(32 and 64- bit) machine and server computers. How are Windows backup virtual hard disk files created? There are backup files created in Windows 7, 8 or 10 and even Windows Server 2008 or 2012 machines. These have a .vhd extension. There is no direct way to restore or read backup files. The VHD Viewer lets a user access those files and read the data. It is quite difficult for me to open & view VHDX file on Windows OS. After a long search, I came to know about this VHDX Reader Freeware software. 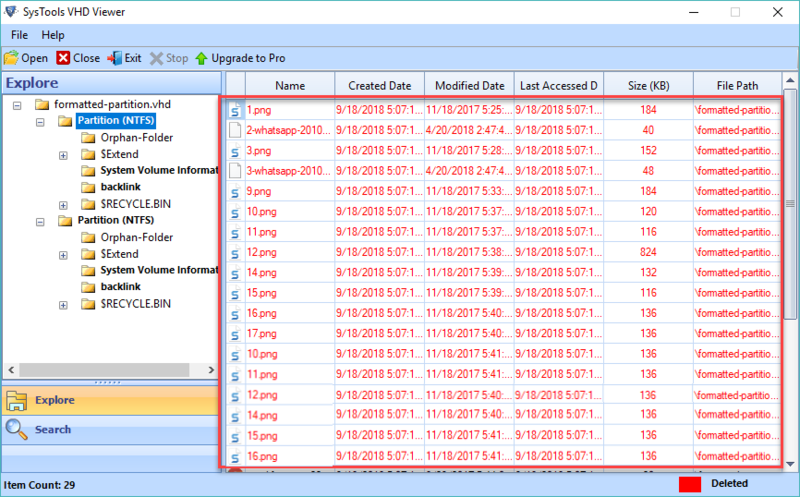 The tool has an interactive interface that even a naive user can use and open VHDX files on Windows OS in a very efficient way. Thanks to all the developers for creating a wonderful product within the online market. This is a great utility and well-designed for both professional and home users. It has simple functions that can be used with just a click of a few buttons. It can work with large VHD files. It helped me to recover items from an orphan .vhd file. It worked well on both my 32-bit Windows PC and 64-bit laptop. Thanx! The most amazing feature about this VHDX file viewer is that it recovers all damaged or deleted data from VHDX file. This feature helps to get back all the lost or deleted data from .vhdx image file. I found this trouble-free solution to open and view VHDX file. Thanks to VHDX file opener for saving my lots of time with such attractive features. Hats off to the development team!! The VHD File Opener has helped me access the contents of my Windows backup. It was an old file saved on my external drive with a .vhd extension. Initially, I had no clue what to do with it. I tried restoring it with the inbuilt Microsoft restore feature but to no avail. The tool suggested that there was no backup file in my external drive. I finally used this software and read the contents within.